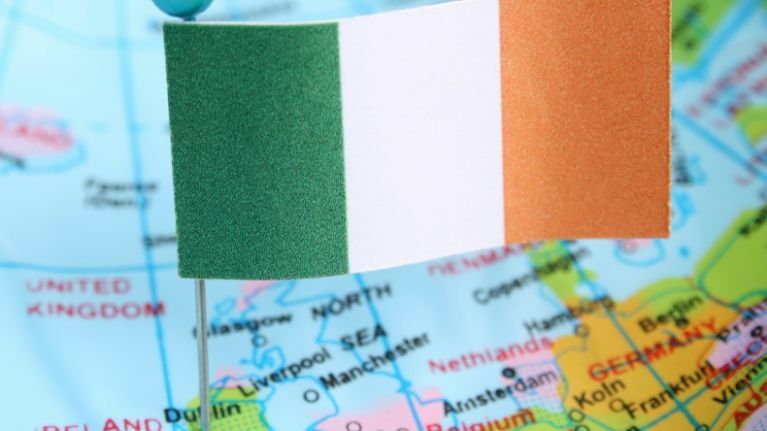 We understand that Ireland is not the largest country in the world and we are but a small island sitting in the Atlantic on the western coast of Europe. Newquay is a town on the north coast of Cornwall, in southwest England and it has a tourism website dedicated to encouraging people to visit the area. It has been voted one of the UK's favourite seaside towns, with some lovely beaches and is known as a great family holiday destination. So in a bid to highlight how accessible the town is for tourists, a website provides a handy little map of the destinations that fly to the area. Now, we're no experts in geography, but something about this seems a little bit off when it comes to the map of Ireland and the placement of Dublin.